Hello, everyone. This is Alex from DEXEOS! 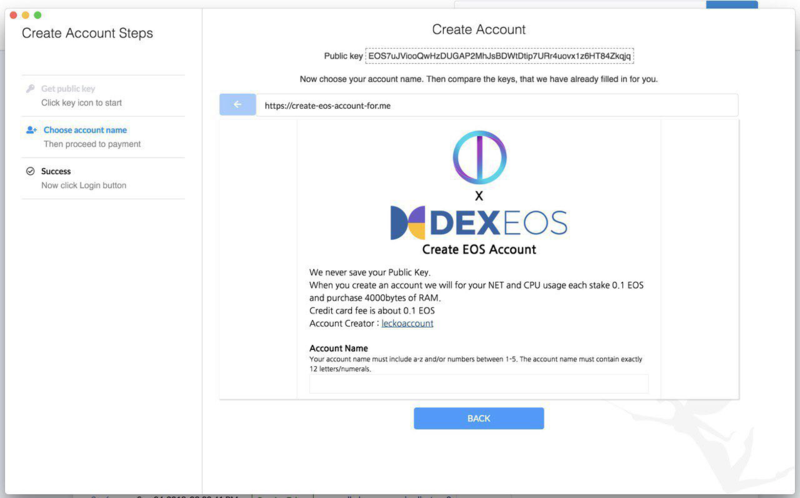 After the EOS mainnet launched successfully (and before DEXEOS was launched), we made a simple EOS account creation service for the purpose of helping the early stages of the EOS ecosystem. We found that creating an EOS account was rather difficult for normal users and even for blockchain developers. We posted information regarding our service to some of the developers communities and they liked it. Fortunately, NodeOne (a standby BP who works really hard for the Korean EOS community) suggested for us to have an account creation event for people who have not already created an EOS account. Furthermore, we have some collaboration plans with Korean BP candidates and dapp developers to hold additional account creation events. 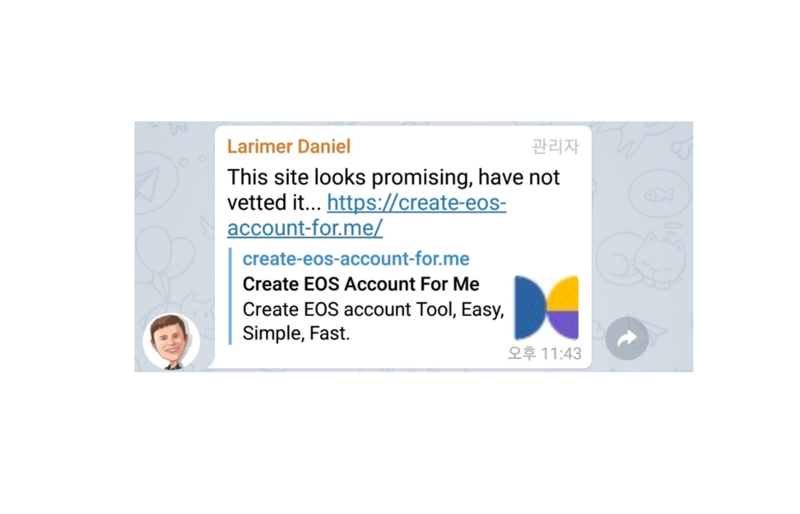 Even in the EOS official telegram group, Dan Larimer gave us a nice comment regarding our service. Early in this morning (Korean time), the hardware wallet "Ledger Nano S" announced to support EOS and use the create-eos-account-for.meservice to make accounts. Therefore, Ledger Nano S owners will engage in our service to expand their wallet system! We strongly believe EOS will be the leading and standard for public blockchain in the near future, however, there are a few technical barriers for individuals using EOS based services at the moment. Soon DEXEOS will release various "EOS infra-services" so that even people who only use the internet and their smartphone can easily join to EOS community. Here at DEXEOS we understand our customers - as our team also participates personally in various sectors of the EOS ecosystems.